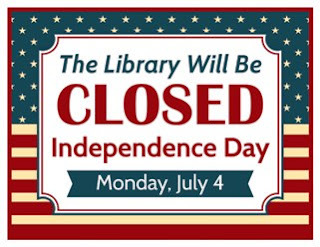 Roselle Public Library will be closed Monday, July 4, in observance of Independence Day. We will re-open Tuesday, July 5, at 9:30 a.m.
Browse the databases to find out how to repair your car, research your family history, manage your portfolio, learn a new language, delve into Roselle's past, and more! Link to eMediaLibrary or eRead Illinois to download an audiobook or an ebook. Link to Tumblebooks to read picturebooks with your kids. Visit us online and explore what's available... even though the building is closed!